Joy Bennison went to Burning Man for the first time last year. It was, as it is for many, a life-changing experience. She vowed to return the following year. But the 41-year-old waited too long to get tickets, and the event sold out for the first time in its 25-year history. "We had planned it all year," she says. "I had never heard that they sold out before." Barring a burning miracle, she'll be spending the first week of September at home. Tickets, of course, are still available, but scalpers are asking over $1,000 each for tickets with a $200 face value. This has angered many festival veterans, referred to as Burners, as being against the "spirit of the festival." As Penngrove resident Peter Alexander puts it, "the right thing to do is to sell them at face value." Alexander, whose Penngrove silk-screening shop provides the official T-shirts for Burning Man, sets up camp each year for himself and 130 or so of his closest friends, driving an RV converted into a Spanish Galleon over the pass to the Nevada desert to use as surreal transportation in the city of Burning Man. Playa Pete, as he's known, has a quick, succinct answer to the idea of scalping tickets for five times their value: "As far as I'm concerned, those guys are scumbags." He adds that about 13 in his camp waited too long for tickets and are now in the same boat as Bennison. For the past 11 years, Burning Man tickets have been sold exclusively through InTicketing, based in San Rafael. InTicketing CEO Stephen Weisz notes that Burning Man sold out in July, well in advance of the weeklong festival's Aug. 29 start date. "[Burning Man] had been warning people through their email newsletter, so there was some expectation it was going to sell out," he says. "We've consistently seen ticket sales increase," Weisz adds, "especially in the last few years. 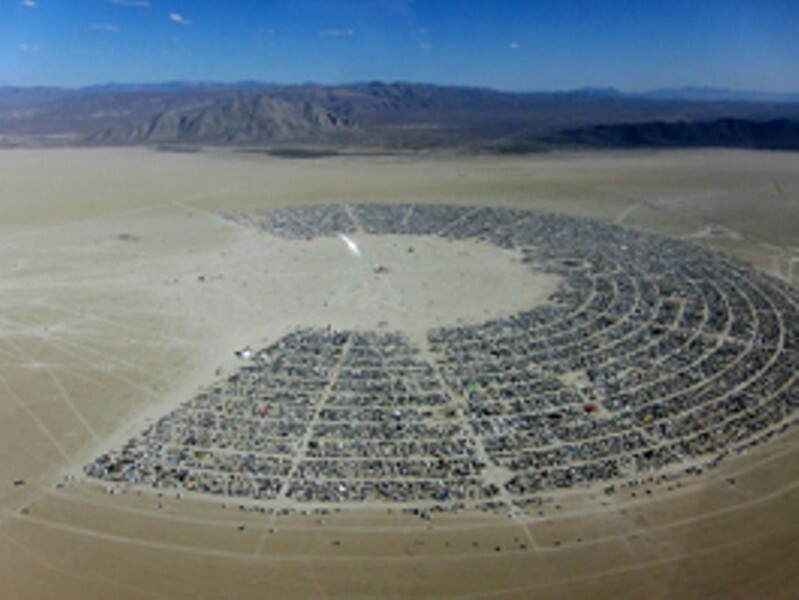 It seems the more crazy things get in the rest of the world, the more people want to come to Burning Man." Unlike Ticketmaster and Stubhub, InTicketing doesn't condone reselling tickets for more than face value, especially for Burning Man, Weisz says. He notes that the company has even developed an algorithm to prevent scalpers from gobbling up loads of tickets at face value and hoarding them until desperation drives up the price. There is hope, however. On Craigslist—at least in the Bay Area—over a hundred posts per day pop up for those looking to buy or sell tickets, and as the festival draws near, many on both ends are asking for trade or face value. The elephant in the room may be the attendance cap in the first place. Just how is a limit established on how many people can gather in an open, barren desert? According to Lisa Ross, public affairs specialist with the U.S. Bureau of Land Management, that's determined by a federal environmental analysis. "The current permit is under the 2006 analysis, and that was up to 50,000," she says. Permit negotiations are underway for future festivals, and organizers are hoping for a five-year permit allowing for 6 percent annual growth from 50,000 to 70,000 by the year 2016. Rosssays the permit request does not seek to expand the acreage, only the number of people allowed. That and subsequent permits will require another environmental analysis. In the meantime, Weisz says, Burning Man is the single largest customer for federal government temporary land-use rentals. Though he doesn't approve of the practice, Weisz accepts the perils of scalping as a natural outgrowth of capitalism. "We are in a free market economy, and much like anything else, anything that has value, people are willing to pay what they think it's worth," he says resignedly. But Burning man isn't like the rest of the world. From veterans to first-time Burners like Bennison, the idea of scalping is wrong. "I think it's horrible. I don't think that's what the whole festival is all about."